Bizau Cristian is a young magician from Romania with a spectacular new card sleight that causes a selection to fly out of the pack without any apparent throwing action. It's called POP FLY, and this ridiculously cool-looking sleight is available right now! 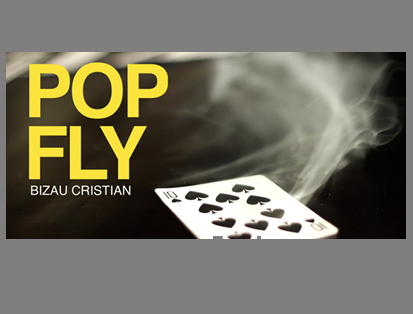 Vanishing Inc. has collaborated with Blue Crown to bring you this EXCLUSIVE download for POP FLY. Watch the video and you'll understand exactly what this versatile revelation does: cause any card (or two, or a double) to fly from the pack as you dribble the cards gently to the table. The mechanics are not hard to master, and it can be done with a borrowed, shuffled pack--no threads. POP FLY is the kind of sleight you can incorporate into your repertoire immediately.